We carry a Matching 8mm Band in the Black Ceramic. For Someone who prefers the Narrower 6mm Version of this Beautiful Deer Antler Ring or Wants a set. Starting in the size 7 up to size 12 this is an easy ring to wear. For Gift or Wedding Band. This smooth Finish Band with the High Tech Black Ceramic is really unique. 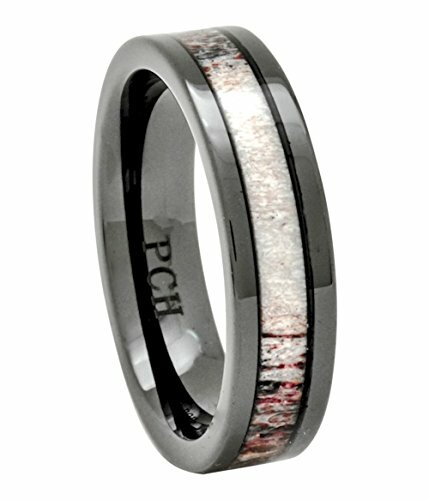 If you have any questions about this product by PCH Jewelers, contact us by completing and submitting the form below. If you are looking for a specif part number, please include it with your message.